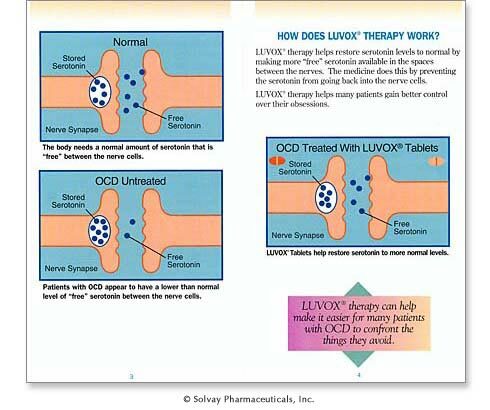 This series of patient education pamphlets helps the patient understand the role of “free serotonin” and “stored serotonin” in Obsessive Compulsive Disorder (OCD) and how the medication helps restore serotonin to more normal levels. FDA quickly approved the accuracy of this “patient friendly” medical illustration. Special attention was given to developing simplified illustrations of the neuroganglionic synapse that included concise labeling and caption wording integrating the illustration with the text. Consumer Health Information Corporation takes patient education to the next level. We believe that a good medical illustration can be worth a thousand words when explaining how a drug works. We ensure that medical illustrations used in patient information materials are patient-friendly, simplified and evidence-based. Why our clients keep coming back. We understand that a simplified medical illustration can be worth a thousand words. Our clients don’t need to explain the medication’s mechanism of action to us. Our team has expertise in physiology, biochemistry and clinical pharmacology. Complex medical illustrations designed for health professionals are simplified into clinically accurate, patient-friendly illustrations. Because of our years of experience in counseling patients, we know when an illustration is necessary – and how to use it to reinforce a concept. Our patient education experts work with the medical illustrators so the design and captions meet FDA requirements.